NAGAWORLD Casino, Phnom Penh is the first and best-in-class integrated hotel, entertainment hub in fast-emerging Cambodia, owned by holding company — NagaCorp, listed on the Hong Kong Stock Exchange. Grand build-up of 1.2 million square feet with more than 500 suites and deluxe rooms, an all-suite luxurious spa, designer shopping gallery, 11 food & beverage outlets, trendiest music clubs in town, and premium meeting spaces with state-of-the-art facilities including touch-screen applications, and the country’s largest hotel convention space that accommodates more than 1,000 guests. An impressive auditorium houses 60 delegates in theatre setting. Bally Technologies, Inc. BYI +1.04% , a leader in slots, video machines, casino-management, mobile and interactive applications, and networked systems for the global gaming industry, today announced that the NagaWorld Casino in Phnom Penh, Cambodia selected Bally systems solutions for their recent casino expansion. Bally is providing cutting-edge solutions for the casino resort located in the capital city of Cambodia. After an extensive evaluation process in which NagaWorld considered several systems providers, they selected Bally’s CMP(TM) player-tracking system and promotions solutions; iVIEW(TM) player-user-interface displays; and TableView(TM) real-time automated table tracking and management solutions to manage NagaWorld’s new casino expansion. The NagaWorld contract and implementation follows a string of new contracts in Asia-Pacific, where Bally has significantly grown its systems market share the past several years. Other recent systems awards include Galaxy Entertainment Group GEG, Sands China Ltd., and Sociedade de Jogos de Macau (SJM). Amidst the picturesque terrain of the Mekong and Tonle Sap River lies the vibrant landmark of Phnom Penh. NagaWorld was birthed in 1995 in the capital city of Cambodia, a city rich in Khmer history. According to legend, NagaWorld derived its name from the mythical fable of a 7-headed dragon or “Naga.” The majestic dragon was believed to be residing in the rivers and guarding the entrance to Phnom Penh. The tale revealed its only sighting during the appearance of a rainbow and was thus considered highly auspicious. Reminiscent of a pot of gold at the end of a rainbow, NagaWorld was thereafter likened to a promising symbol of new beginnings and prosperity. Ever since, NagaWorld has attracted a broad range of guests from the free-spirited holiday maker seeking comfortable refuge, to the intrepid world traveller, to the gaming connoisseur. Today, NagaWorld is recognized as the finest integrated casino-hotel in Indochina, rivalling top Southeast Asian and world-renowned casinos. With a multi-faceted 8-storey wing dedicated to entertainment, the spirit of adventure is effervescent in the exquisitely themed public gaming halls, karaoke lounges and gaming machines. The combined offering of more than 500 luxurious Deluxe Rooms and plush Suites in the 14-storey Hotel Wing and a dedicated spa, you will enjoy lavish comforts and an invigorating time of discovery that extend beyond the norm. 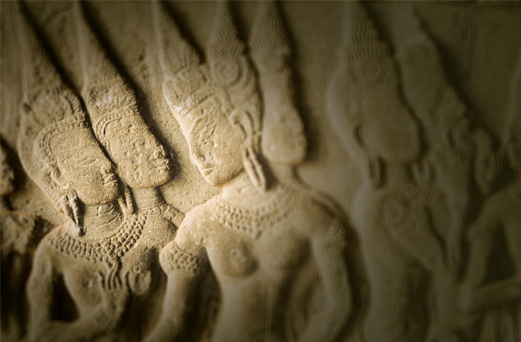 The first step through the doors of NagaWorld transports guests to the ancient Kingdom of Angkor. Experience the affection of Khmer hospitality fused with heart-throbbing entertainment, found only on the propitious grounds of NagaWorld.